While dozens of innovative softwares and technologies are changing the marketing world, email marketing remains one of the most effective tools for getting your brand out in the world. Nearly every growing business relies on it to grow their marketing reach and things aren’t going to change any time soon. However, for some strange reason, there’s a void when it comes to email marketing blogs. There are hundreds if not thousands of blogs for SEO, paid search, social media, and general marketing, but not many for email marketing. 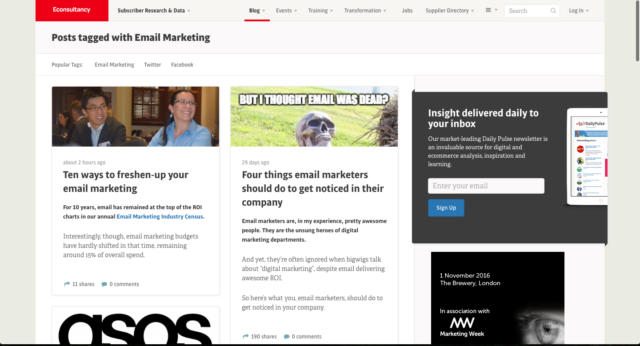 Econsultancy is a smart digital marketing blog with lots of resources and tips for your next campaign. It’s like Economist of the digital marketing world. They don’t exclusively focus on email marketing, but you should keep tabs on them for when they do. They put out a state of email marketing report annually, although the full version is paid. One of my favorite recent posts of theirs talks about how email marketers can get noticed in their organization. 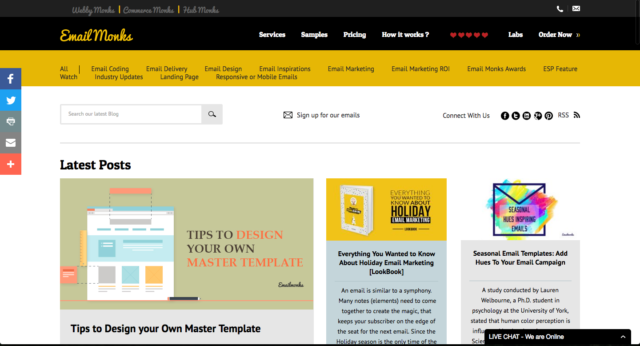 Email on Acid is another email testing and analytics service that works with your own email platform, or with other popular email software services. Their posts tend to be a blend of email marketing news, design, and email development. Their target readers seem to be those that do email marketing full time, or have heavier email needs. They tend to go beyond the basic email marketing topics. 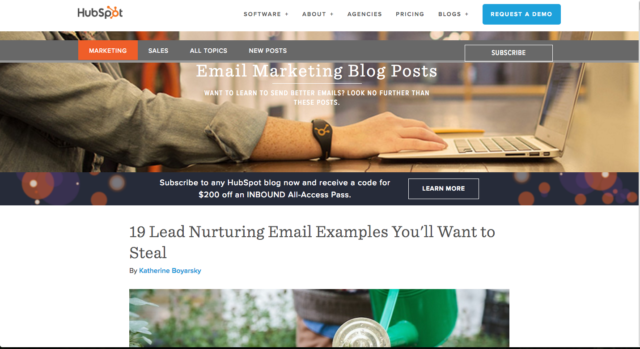 HubSpot’s marketing blog is just like its software – it tries to cover anything related at all to inbound (digital) marketing. So to get to their email posts, you have to dig a bit into the email marketing topic. 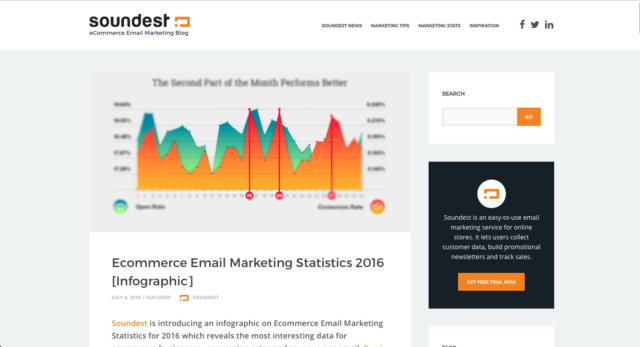 Their blog posts are a blend of super tactical email marketing guides, infographics about email, and general email usage that doesn’t necessarily apply to email marketing but is still helpful. They post a lot, so you’ll always find new email material. EmailMonks offers email design and development services for companies. Their blog has a fun, playful vibe to it for the weary email marketer. They blog mostly about email design and development, but also have a lot of posts on seasonal email ideas. Seasonality is more prevalent in email marketing than it is in other channels, such as paid search or SEO. Omnisend is one of the newer email marketing blogs out there. As a company, they offer email software for online stores. Their blog pretty entertaining, with a notable voice and an interesting angle in every post. They have a fresh take on their content, mixing up reports on experiments with more playful posts such as GIF-heavy posts. 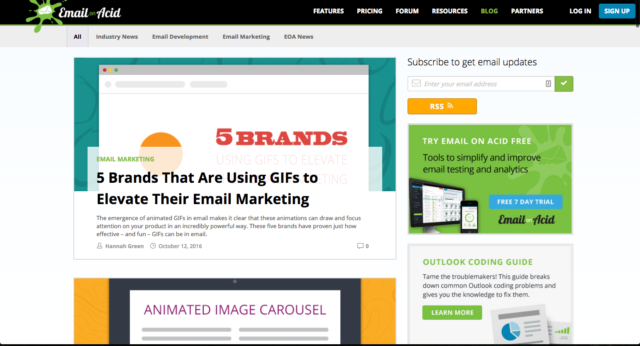 You’ll laugh pretty hard at 13 Funny Animated GIFS about Email Marketing, it was quite refreshing.